Dr Joe Smartt | A balanced diet . . .
Joe Smartt, an old and dear friend, passed away peacefully in his sleep on Friday 7 June, in Southampton, UK, just three months shy of his 82nd birthday. He had been in poor health for several years, and towards the end of 2012 he’d moved into a care home. I last visited Joe in July 2012, and although he was essentially bed-ridden by then, we sat and reminisced over old times while drinking many mugs of tea (a ‘Joe favorite’!). A geneticist by training, Joe obtained his BSc from Durham University, took a diploma in tropical agriculture from Cambridge University, and spent time in Northern Rhodesia (now Zambia) working on groundnuts. He completed his PhD in the Department of Genetics at North Carolina State University (NCSU) in 1965, submitting a thesis Cross-compatibility relationships between the cultivated peanut Arachis hypogaea L. and other species of the genus Arachis. 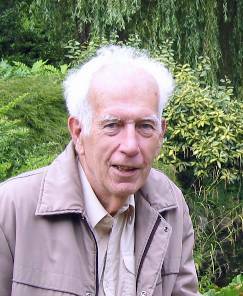 In 1967 he was appointed to a Lectureship in the Department of Botany at the University of Southampton, and remained there until his retirement in 1996, having been appointed Reader in Biology in 1990, and awarded the DSc degree by the university in 1989 for his significant work on grain legumes – the area of scientific endeavour for which he will perhaps be best remembered. He authored two books on grain legumes, edited a major volume on groundnuts, and was invited to co-edit a second edition of the important Evolution of Crop Plants with the late Professor Norman Simmonds. In the late 60s he worked on cross compatibility relationships of Phaseolus beans, and also published a series of strategically important synthesis articles on grain legumes, which did much to re-energize interest in their development and improvement. In the latter part of his career Joe turned his attention to the genetics and breeding of goldfish, co-editing one book and authoring another two which became essential texts for goldfish enthusiasts. I first met Joe in 1968, which might seem strange as I began my undergraduate studies at Southampton in 1967 in the Departments of Botany and Geography. Joe taught a second year class on genetics, so it wasn’t until the autumn term in October 1968 that I was faced with ‘Smartt genetics’. But by then I had made myself known to him, as I have described in another post on this blog. 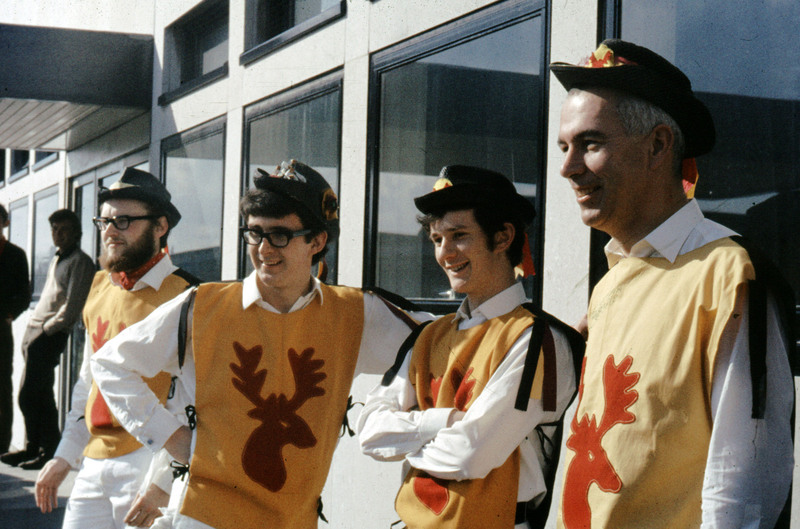 Joe and I were the co-founders of the first Morris side at the university in autumn 1968 – the Red Stags, and our common interest in traditional music (particularly bagpipe music – see this post) was the basis of a friendship that lasted more than 45 years. Many’s the time Joe and I sat down with a beer or a wee dram to enjoy many of the LPs from his extensive music library. But Joe was more than a friend – he was a mentor whose opinions and advice I sought on several occasions. In fact, it was a suggestion from him in February 1970 that I apply to the University of Birmingham for a new MSc course under the direction of Professor Jack Hawkes that got me into genetic resources conservation and use in the first place, and the start of a successful career in international agricultural research lasting more than 40 years. Physically, Joe was a big man – but a gentle person and personality. I’ve seen him slightly cross, but I never saw him angry. It seemed to me that he had the most equitable of temperaments. He married Pam in 1970, and they had two daughters, Helena and Fran (about the same ages as my two daughters), and both have been very successful academically. Joe often told me of his pride in what they had achieved. I know that was a source of great comfort to him in his latter years as his health declined. While I feel sadness at his passing, I can also celebrate the many scientific contributions he made, and his true friendship over so many decades. He will be missed by many colleagues in legume and goldfish circles, but particularly by his family and friends. Friends like Joe come along very few times in one’s lifetime. It’s been my luck – and privilege – to be among his. This entry was posted in People, Science, Southampton and tagged genetic resources, morris dancing, Southampton. Hi Mike, Do you know whether anyone is working on a third edition of Smartt & Simmonds “Evolution of Crop Plants”? It would be *wonderful* if anyone would update it, although I know it would be a HUGE job. I have no information either way, Eve. Yes, I agree, it would be a great idea to update this, but it would be, as you say, an enormous project, given all the ‘omics’ data we now have. Incidentally, I published a ‘formal’ obituary in the October 2013 issue of Genetic Resources and Crop Evolution. Thanks for writing that obituary. These are always best when they come from a friend. I certainly understand why folks would hesitate to take on such a project as updating that book, but it sure would be useful! Thanks. Potatoes - the real treasure of the Incas . . .